Teavana Announces "Tea Master's Challenge"
Today, innovative tea retailer Teavana® debuts an exciting new tea blending contest, the "Tea Master's Challenge", online (http://www.teavana.com) and in their 100+ retail stores. This is the public's opportunity to "go face to face" with experts in the tea industry by creating and submitting a favorite blend using a combination Teavana's current selection of 108 fresh loose leaf teas. Using a blend of 2 to 4 teas per submission and a choice of sweeteners & special instructions, the contest is a call to all tea lovers to create a new masterpiece. May the best Tea win! In addition to submitting a favorite blend, anyone can visit the Teavana website (http://www.teavana.com) everyday from June 29 to August 16, 2009 to vote for their favorite entrant's combination. In total, six entries will be selected as winners. The grand prize winner will receive a $500 gift card and the winning blend will be sold on their website in the Fall/Winter of 2009. Additionally, the blend with the most online votes will win a $200 gift card along with one pound of their blend. For complete contest rules go to http://www.teavana.com/teamasterschallenge/rules. Teavana, known for selling the finest loose leaf tea from around the world will debut a new crop of flavorful and healthy teas this fall. 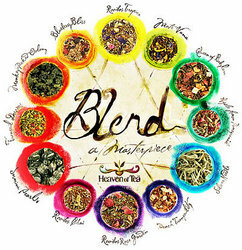 The selection, which includes a wide variety of single estate and flavored white, green, oolong, black and herbal teas, has been much anticipated by customers online, followers of Teavana's Blog (http://www.heavenoftea.com), and the loyal customers who pass through their stores every day. First opened in 1997, with the name meaning "Heaven of Tea", the mall-based stores are part retail shop (unique tea pots and tea making accessories) and part tea emporium with a unique selection of loose-leaf tea from all over the world.